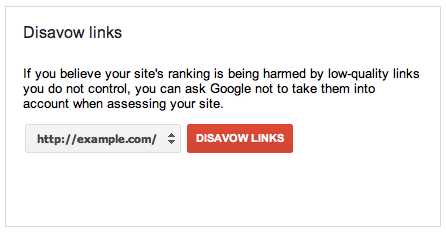 Google has launched disavow links tool. Google sends message in Webmaster Tools about “unnatural links” pointing to a sitwhen they encounter paid links, link exchanges, or other link schemes that violate Google’s quality guidelines. To help webmasters in fixing this situation that might come as a result of “SEO agency” bad practice (spam), or other (competitor’s) webmaster evil plan, Google has launcedthis nice little utility that enables you to send a file with a list of domains or URL’s with bad links to your site.